But, before we confirm one coronation, let's anoint another. Because, before Sunday became all about the Reds of Liverpool (who were in turn usurped by the Red of Tiger Woods at the Masters) it was about the slick Sky Blue charm of ​Raheem Sterling. The Englishman was once again decisive for Pep Guardiola's side, and, despite missing some customary chances, was there when it mattered most to clinically see off a somewhat spirited ​Crystal Palace side. His team may have relinquished momentum (and possibly more *no spoilers*) in the title race, but at least he sewed up a title of his own on Sunday: the PFA Player of the Year. ​It's been a strange time at ​Manchester United since Ole Gunnar Solskjaer was officially confirmed as the man at the Old Trafford wheel - hold on, wheel you say? I'm sure there's a wheel involved in pop culture's final monolith.. a Game of Kings? Match of Thrones? That's it, GAME OF THRONES. Because the Norwegian hasn't exactly reinvented the wheel since his fully-fledged appointment, but he hasn't quite stopped it either, and it certainly isn't broken, even if that squad can look as cobbled together as a double-decker bus with tiny tricycle wheels. They certainly weren't at their best against ​West Ham, but they did the job, and that's what you have to do at this stage. They cling on in the race for a top four finish..
You've got to be some kind of bad to lose to ​Fulham, and some kind of absolutely horrendous to not at least score. On Saturday at Craven Cottage, ​Everton did just that. They had one shot on target, FFS. 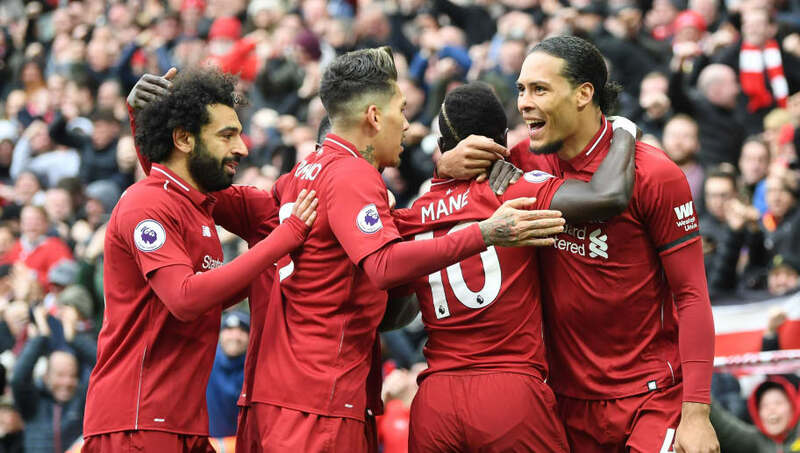 Against a defence that has yielded nine more goals than any other team in the league - one of which is six points behind them and has won three games all season. Ahhh, that's better. The pressure increased on everyone's shoulders when ​Harry Kane went down with ligament damage in the ​Champions League triumph over Manchester City, but perhaps none would've felt it as keenly as Lucas Moura, the man who came on for Kane on that night and assumed his position up top against Huddersfield. They may be the newly crowned darlings of the Premier League, they may be backed by big money, overflowing with thousands of special players from Portugal (for some reason? ), be the perennial thorn in every 'big six' side this year, be destined for Champions League qualification next season, but sometimes, in the small games, Wolves are still ​Wolves. ​Every time I type out Brendan Rodgers' name, I accidentally write 'Brendad' and it cracks me up EVERY. SINGLE. TIME. And, amid all the ​harking back to April 2014 - when Brendad gave his best Ned Stark season one finale impression and naively thought his 'pure' footballing ideology would be enough to combat all the dark arts and tyranny of Jose Mourinho, in full Cersei Lannister mode - it was Rodgers who emerged with egg on his face once more (at least he wasn't beheaded). ​Chelsea gave a decent account of themselves on Sunday. They were stoic in the first half, and failed to give up in the second, despite two hammer blows in quick succession occurring just after the curtain had lifted. They were sort of valiant, and could've easily got back into it. But they didn't. And that's what they've done all season - impressed in flashes, strung some pleasing passes together, created chances, and failed to take any of them. Despite possessing the league's greatest talent - and that's still unequivocal - they can't find the net. They just can't. And they won't even have ​Eden Hazard next season, so what happens then? That's right, you heard it here first: ​Liverpool have won the title. Ring the bells. Light the fires. Let the white smoke flow out of the Conclave. A new Pope/King/Pharaoh is here. The Reds were handed the biggest test of their credentials yet; not because Chelsea are the best team in the league (far, far from it), but because the narrative was completely geared around them failing.